Helen Zille says she will start with a tax boycott action if those who are guilty of corruption as found by the Zondo Commission are not going to be prosecuted. Zille says she will launch a “tax revolution”, but meanwhile, the DA’s leaders have distanced themselves from Zille’s statement. She also believes the same action..
Western Cape Premier Helen Zille has launched her court bid to take public protector Busisiwe Mkhwebane’s report on judicial review and, in doing so, the controversial leader has once again defended her infamous tweets on colonialism. Maimane, when are you going to stop with racist remarks? ” If there is a white person in the room, we think that’s the person in charge,” Maimane said in an interview with Sunday Times, adding that he made a mistake keeping Helen Zille in the DA after he took over leadership. 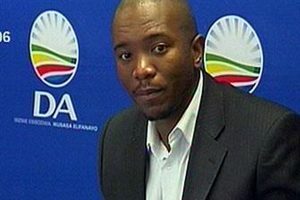 Helen Zille should have been removed from decision-making structures after she stepped down as party leader, DA leader Mmusi Maimane has said. The Western Cape Prime Minister, Helen Zille, whose party is in various coalitions with the EFF, has gone on social media against Julius Malema regarding his unbridled racism. Cape Town – The national government’s departmental “meltdowns” are having a bad effect on municipal budgets and normal services, mayoral committee member for safety, security and social services JP Smith said in Cape Town on Thursday. “I must just say, for me, there is a pattern emerging,” he said. For close on 20 years Helen Zille rode the wave of her (dubious and minor) role in running safe houses for ANC terrorists and her part in the Steve Biko expose. From a (minor) Black Sash and PFP base she mesmerized hundreds of thousands of white voters to vote for her Democratic Alliance. It took..